from all the books I’ve read. 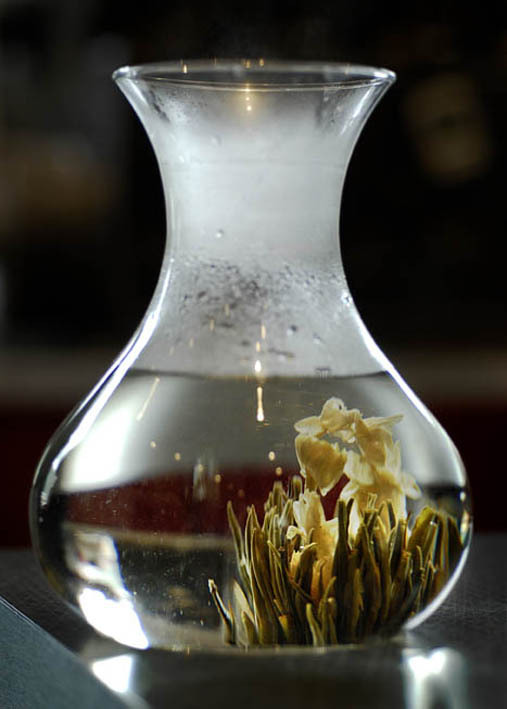 The jasmine flower in this photo was wrapped in green tea leaves. It unfolded in contact with hot water. It was ready to drink after a few minutes.